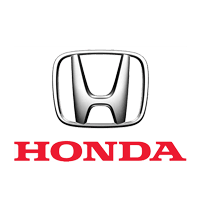 If your vehicle needs a replacement part, fitting an approved Honda component ensures we comply fully with your manufacturer warranty. These parts are specifically designed to work efficiently with your car, performing reliably for many miles of smooth motoring. We keep a wide range of genuine parts in stock, so we can supply those most commonly needed immediately. We can also swiftly source any parts and accessories that we do not have in stock. We take delivery of orders quickly and efficiently, minimising the time you have to wait for your vehicle to be ready. In addition to essential Honda parts, we also supply a wide range of accessories . Genuine Honda accessories make it easy to personalise your vehicle and adapt it to your motoring and lifestyle needs. From roof rails to tow bars, our skilled technicians can fit these accessories to your car and make sure everything works correctly and safely. Many accessories are available immediately. To find out more, or to enquire about a specific part or accessory, please contact your nearest Gatwick Honda & Redhill Honda dealership. You will find us at Gatwick, West Sussex and Redhill, Surrey in Surrey, and you can call or visit us directly or enquire online using the contact form.